For the Indian investor the fastest and most secure way to Permanent Residency in the United States (otherwise known as a “Green Card”) can be by investing in a project offered by an experienced Regional Center. 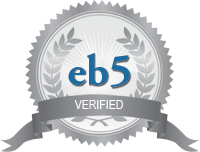 Obtaining an EB5-based “green card” is a complex process that requires the assistance of an experienced EB-5 lawyer. Finding an experienced EB-5 lawyer is difficult because EB-5 lawyers offer varied services and charge different fees. Understanding the difference between the varied services offered by different EB-5 lawyers is key to finding the right representation, and consequently, a successful EB-5 application.